I thought I would give Me Made May a go this year and here's the first week of completely me made outfits, more photos on my Instagram - didyoumakeityourself. Day 1 is a corduroy Farrow Dress from Grainline Studio, Pilvi jacket made up in a vintage wool blanket from Lotta Jansdotter Everyday Style, Ten Ten wrap in Jamieson's of Shetland by Olgajazzy. 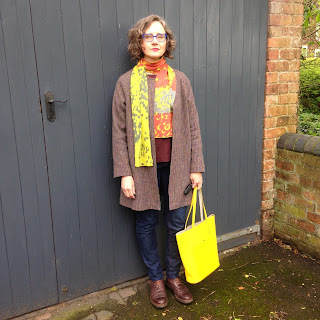 Day 2 is another Pilvi, this time in a vintage Harris Tweed and lined, Esme shirt from Everyday Style again and my first pair of Ginger Jeans from Closet Case Patterns. 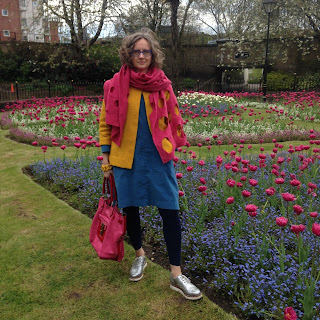 I am also wearing hand knit socks of course. Scarf is from Nielanell on Shetland. 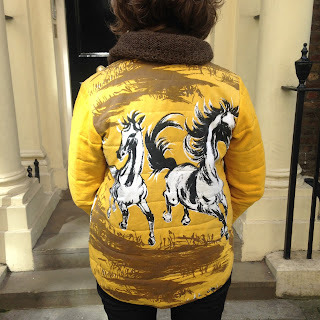 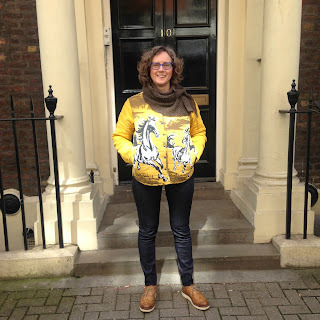 Day 3 in the Big Smoke, Tamarack jacket from Grainline Studio again made from an old curtain and lined with an old bed sheet! My second pair of Ginger Jeans - pink top stitching, Summer Sky shawl knit in the fabulous Home Farm Wensleydale and self drafted navy linen shirt. Extra shot just because it's glorious. 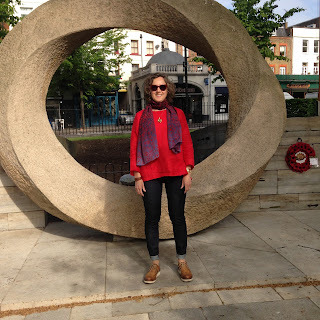 Day 4 No.2 Ginger Jeans, self drafted red linen shirt. 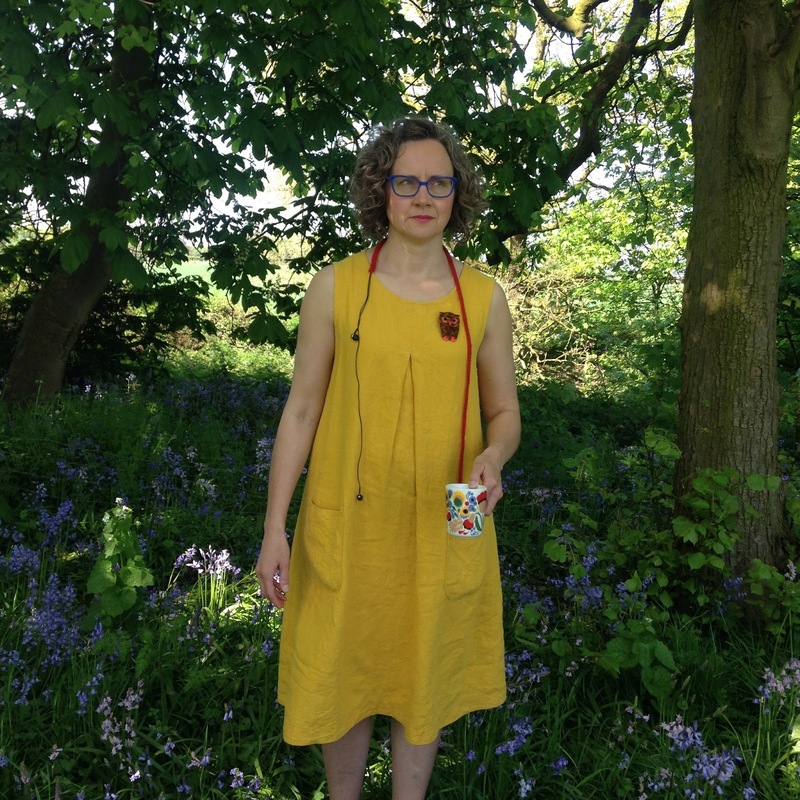 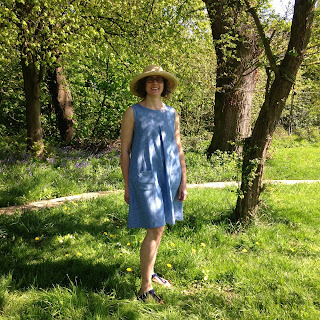 Red hot day 5, linen dress with pockets from a Japanese sewing book, Happy Homemade Sew Chic. 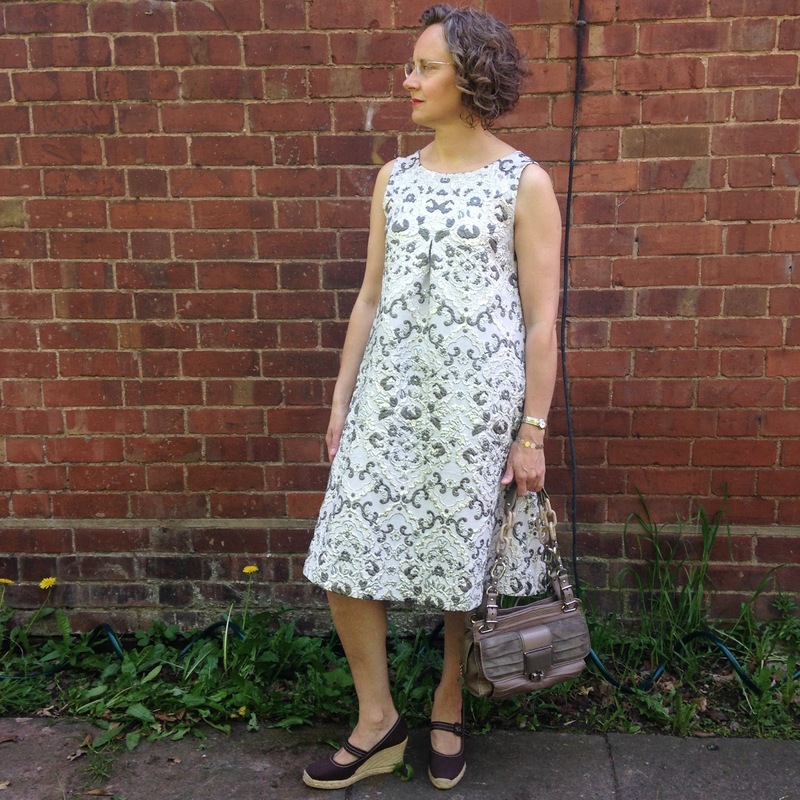 Day 6, same dress but without pockets in a fabulous silk brocade I got in Milan.